Today the Sun and Mercury (both in early Libra) form squares to two centaur planets (both in early Capricorn) known for their somewhat contrasting attitudes to relationships. Much of astrology has a tendency to bring up the issue of our relationship with ourselves. Today’s Birthdays: Elizabeth Montagu (1718-1800), Nat Turner (1800-1831), Mahatma Gandhi (1869-1948), Bud Abbott (1897-1974), Graham Greene (1904-1991), Moses Gunn (1929-1993), Don McLean (1945), Annie Leibovitz (1949), Sting (1951), Lorraine Bracco (1954), Kelly Ripa (1970), Proof (1973-2006), Camilla Belle (1986). 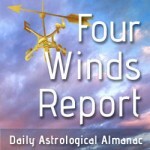 Last week’s astrology was dominated by three unusual oppositions, or 180-degree meetings, between the planets — Mercury opposite Chiron, Mars opposite Neptune and Jupiter opposite Uranus. And, suitably, it was quite a week of contention and controversy; though lately that hardly seems to let up for a moment. If you had any breakthroughs, or made any important discoveries, remember them well, so they don’t get lost in the swirl of your life. 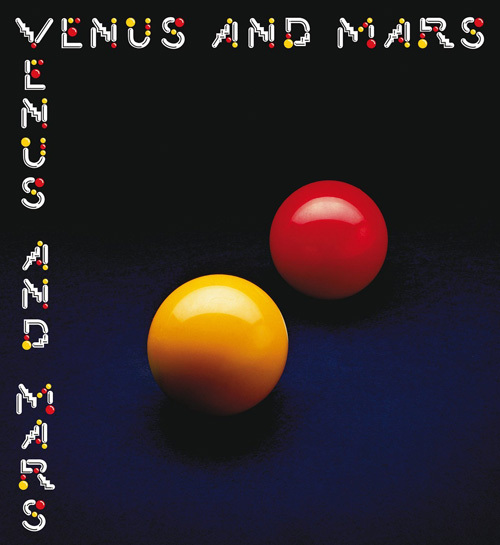 Venus and Mars as billiard balls, shown in a conjunction on the cover of Paul McCartney & Wings’ 1975 album. The cover art is by Hipgnosis, which did many of the album covers of that era, including Obscured by Clouds, Dark Side of the Moon and Animals by Pink Floyd. Here’s a complete list. This week, we have an unusual synchronicity of an opposition — the Full Moon — combined with a relatively rare conjunction of Venus and Mars. 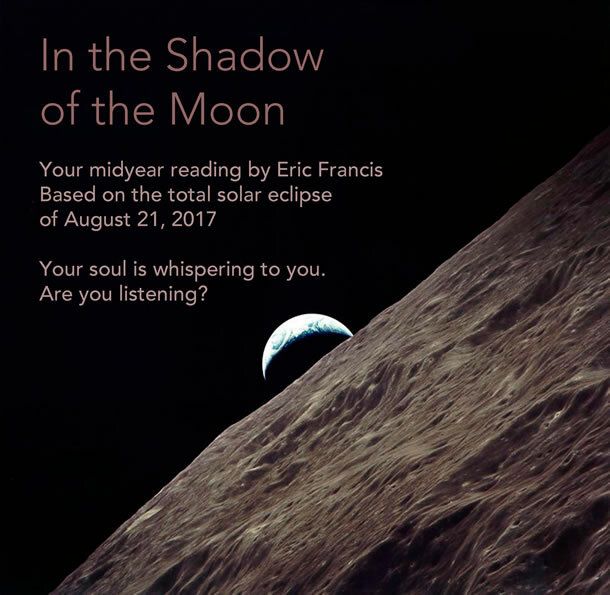 Of the two, the Full Moon, which takes place in Aries, is the one you’re most likely to notice directly; for example, as heightened emotion, unusual dream activity, or wanting to push things to a head. Full Moons distinguish between the energies of the signs involved, in this case Aries and Libra. They pull the picture into high contrast. Conjunctions guide us to blend, morph and merge the energies involved; in this case Mars, which rules Aries, and Venus, which rules Libra. The two events are related by their astrological symbols, and by the fact that they happen within two hours of one another, on Thursday afternoon Eastern time. When you see that kind of synch, it’s a reminder to pay attention. Moon Phase: Moon is in Waxing Gibbous phase and enters Full phase on Oct. 5 at 11:40 am PDT / 2:40 pm EDT (18:40:02 UTC). Moon Sign: Moon is in Aquarius and enters Pisces today at 7:26 am PDT / 10:26 am EDT (14:26:10 UTC). Moon enters Pisces at 7:26 am PDT / 10:26 am EDT (14:26:10 UTC). — Sun square Chariklo at 11:15 pm Oct. 1 PDT / 2:15 am EDT (06:15:16 UTC). — Mercury square Hylonome at 8:35 am PDT / 11:35 am EDT (15:35:01 UTC). — Mercury conjunct Elatus at 2:12 pm PDT / 5:12 pm EDT (21:12:03 UTC). Devote yourself to your intimate relationships, with all your heart and soul. This includes more than just your romantic or primary partnerships, though those are included. Devotion means going deeper than immediate gratification, self-serving values, or some great promise for the future. It’s about tapping into the continuous, steady property of love that’s available in every moment. Today the Sun and Mercury (both in early Libra) form squares to two centaur planets (both in early Capricorn) known for their somewhat contrasting attitudes to relationships. Much of astrology has a tendency to bring up the issue of our relationship with ourselves; including our inner polarity that we project onto interactions with others. The trend of self-marriage, or sologamy, has been in the news lately too. All this is suggesting that we can each be a whole person, without reference to anyone else. Whatever your partnership status, celebrate yourself today.